Description Same as 25a and 25c is a copy of this print. 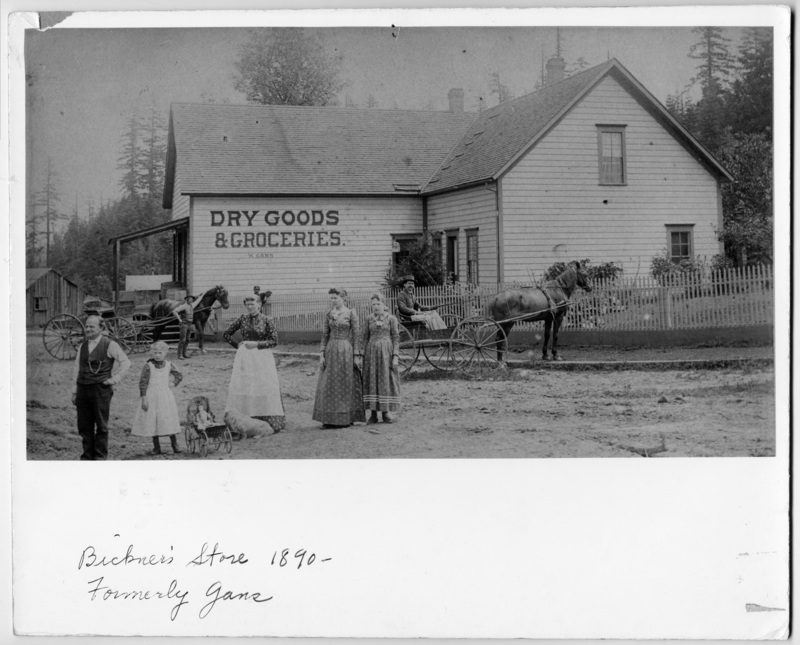 Blue ink on front: "Bickner's Store 1890- formerly Gans." Tear near left upper corner; pinhole; indentation marks. Mounted on cardboard. Sign on building: Dry Goods & Groceries, H. Gans.